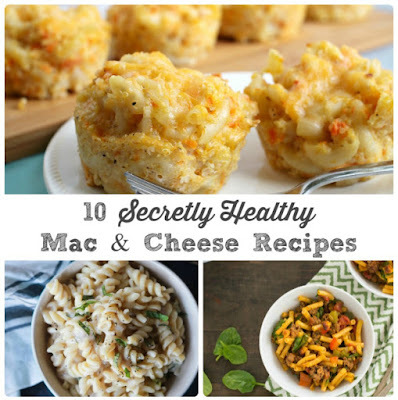 If so, then you will love the recipe that I am sharing with you all today! 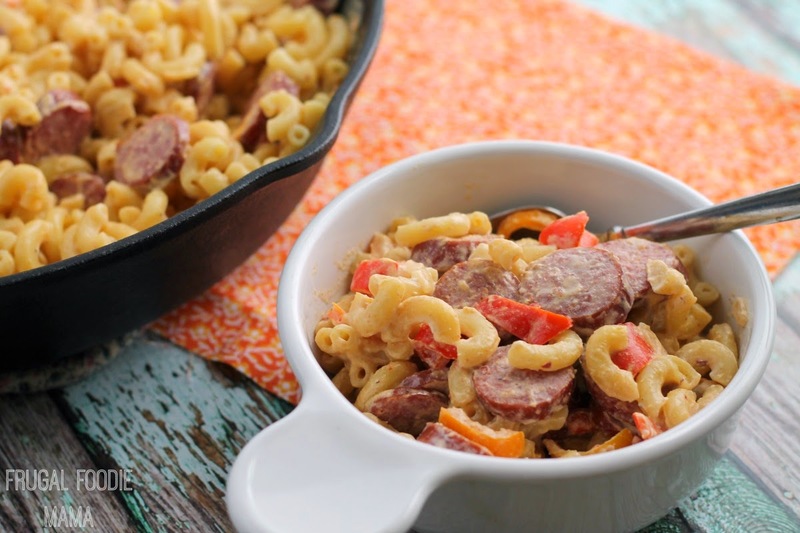 All you need is around 40 minutes to get this flavorful and creamy Chipotle Sausage Skillet Mac on your dinner table. And the best part? 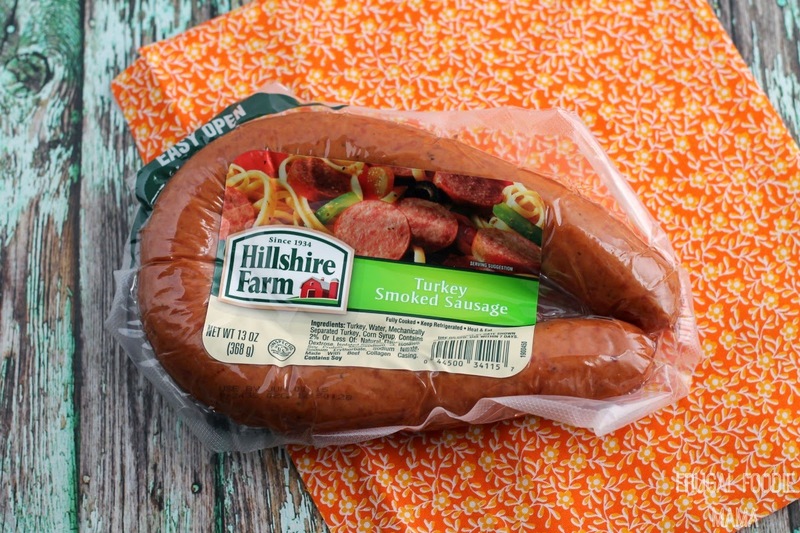 Since it is made with your favorite Hillshire Farms smoked sausage, there is no need to worry about making sure you have chicken defrosting for dinner before you leave the house in the morning. Prepare the elbow macaroni according to the package directions. While the pasta is cooking, chop and slice the peppers, onion, and smoked sausage. Heat 1 tbsp of olive oil in a large skillet over medium-high heat. Once heated, add in the peppers, onions, and sausage. Saute for 5-6 minutes, stirring often. While the peppers, onions, and sausage slices are cooking, place the cream cheese, chopped chipotle pepper, and adobo sauce in a blender or food processor. Add in the half & half. Blend until well mixed. Pour the mixture into the skillet and stir well. Let simmer 5-6 minutes more. 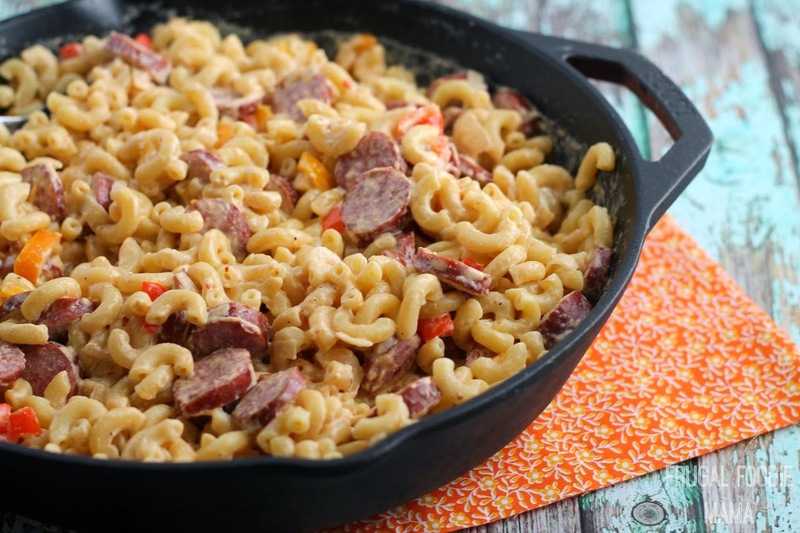 Once the macaroni is cooked, drain, and then add the pasta to the skillet. Stir well and heat through an additional 2-3 minutes. 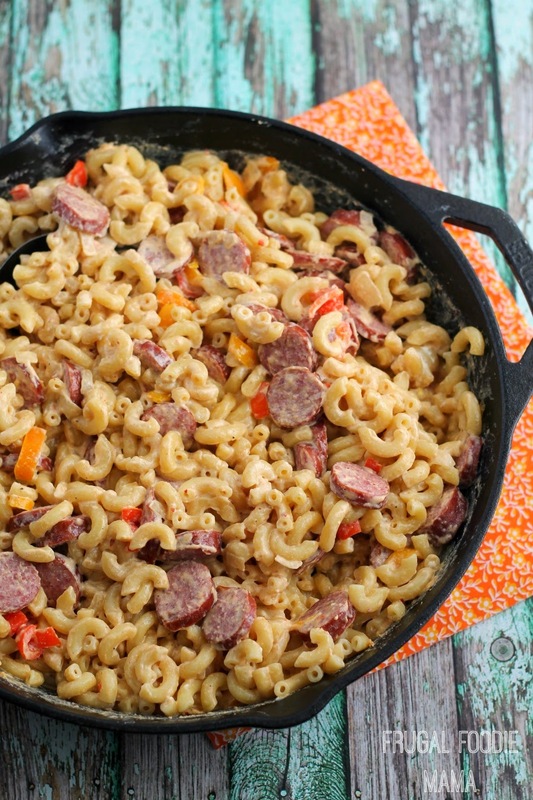 I am always looking for ways to make my family dinner recipes a little more healthier, so that is why I used the Hillshire Farms Turkey Smoked Sausage in this skillet mac. It was an easy choice since the crafting & pre-seasoning of Hillshire Farm smoked sausages has been a work in tasty perfection for over 75 years now. 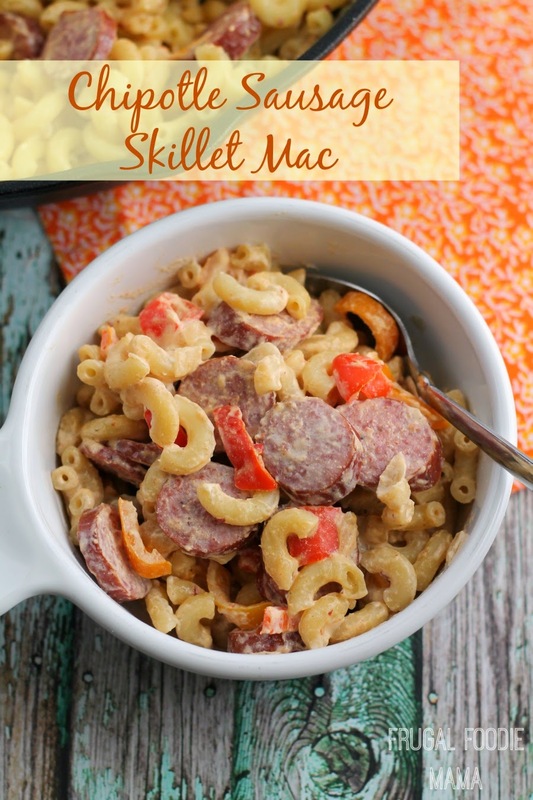 You can get this Chipotle Sausage Skillet Mac on the dinner table even quicker by either enlisting the older kids to help with the chopping and slicing or by doing all the prep the night before. 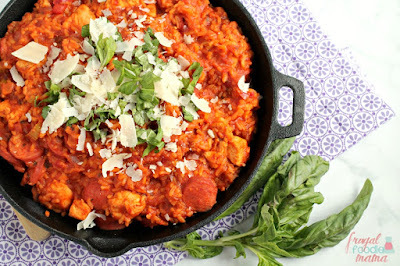 Have you ever experienced the weeknight dinner rut? Need more tasty weeknight dinner recipe solutions? 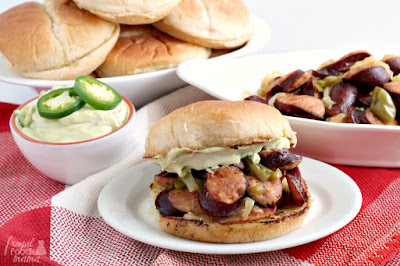 Visit the Sausage So Simple page now!